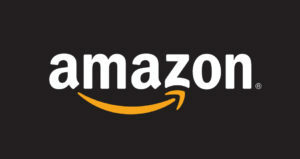 There are many services of Amazon.com which can experience problem or any outage, including AWS, Video streaming and online store. So, the working problem depends on the service which you are using, here we have provided a graph below which you can use to find the Amazon down reports from your region or area. Sometimes the login problems are also reported at the online stores of Amazon, the Kindle services which is an e-book reader also experiences problems with some side features. The prime part of down complaints we receive here on this portal are generally related to AWS (Amazon Web Services), Amazon S3 or Amazon Instant Video. The service connectivity issue may be experienced on region basis, i.e. it may be not working in one region, but is working fine in other country. By this portal you can check which areas are also affected with problem along with you, this also makes a hope for your that you are not affected alone other are in line with you. @AdamB8 You never know when you might need Alexa! Your sister is just prepared for the unknown! @casualgamerlnge Happy to deliver! Best way to warm up in the winter weather is with a good read!